Thinking about buying some chocolates on Valentine's Day? You're not alone. 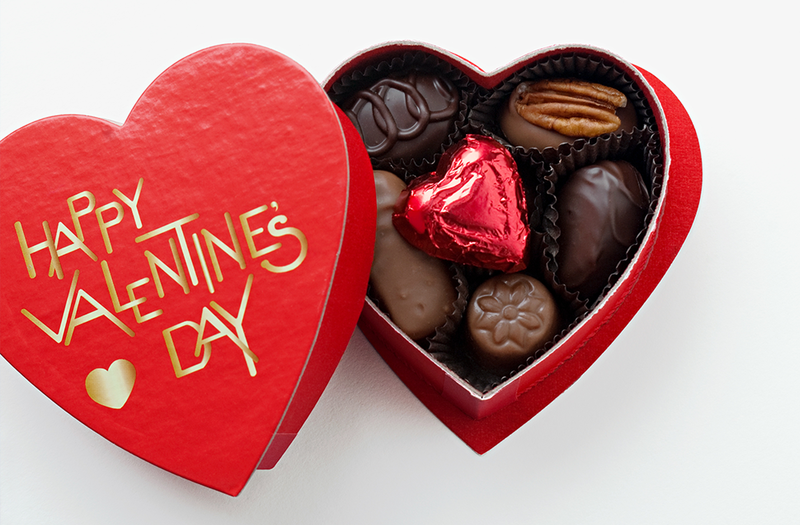 Staggering amounts of chocolate are both purchased and eaten every February 14. In fact, some market analysts report that Canadians consume an average of 5.5 kilograms of chocolate every year, with a fair chunk of that happening today. Chocolate has been long associated with love, and it is well know that it can improve our mood. But did you know that eating certain types of chocolate in moderation is also associated with good health? Cocoa has been used for health benefits for centuries. The Ancient Aztecs mixed cocoa with water and spices to create a drink they thought promoted good health. In more recent times, cocoa - the non-fat component of finely ground cocoa beans - has been combined with oil or butter, sugar and other ingredients to create chocolate. Now, researchers say chocolate may play a role in helping to protect against some chronic diseases. Studies have found that small amounts of dark chocolate in moderation may help lower blood pressure and cholesterol, and improve blood flow and circulation. However, not all chocolate is created equal. To reap the possible beneficial health effects, you need to consume chocolate that is high in flavonoids. Flavonoids are the key components found in chocolate attributed to health benefits, antioxidants that help the body repair damaged cells. Flavonoids can also be found in tea, red wine, and fruits like apples and grapes. Unfortunately, many of the common chocolate candy bars found at grocery store checkouts won't cut it in terms of flavonoid content. Dark chocolate contains the most flavonoids, inferring the most health benefits. Milk chocolate contains a small amount of flavonoids, but it has less cocoa than dark chocolate. White chocolate actually contains no cocoa (and therefore no flavonoids) and is made mostly from the fat component of cocoa beans, cocoa butter. Common chocolate bars containing caramel, nougat or wafers are not healthy choices. Whatever your choice of chocolate, you may want to consider portion sizes. All chocolate contains added sugar and fat, which can contribute a significant amount of calories to your daily intake. No more than two to three squares (or around 30g) of dark chocolate daily are recommended. Figuring out how much flavonoid content there is in a piece of chocolate can be difficult because it isn't included on the nutrition label. Your best bet when looking for chocolate high in flavonoids is to select chocolate with the highest percentage of cocoa (ideally at least 60 per cent cocoa solids). There are a couple other benefits we can enjoy from eating chocolate. Dark chocolate contains fibre. Three squares of 60 per cent cocoa solids dark chocolate, or around 30g, have about 10 per cent of the recommended daily value for fibre. Too bad it is not the best idea to get all your fibre from chocolate. The fibre in dark chocolate makes it more filling and satisfying than milk chocolate. We feel good when we eat chocolate, our mood improves and we feel more alert. There are chemicals in chocolate that boost feel-good hormones (serotonin) in the brain. Chocolate also contains caffeine and sugar which supply a boost of energy, useful after a long day, or perfect for a romantic evening. 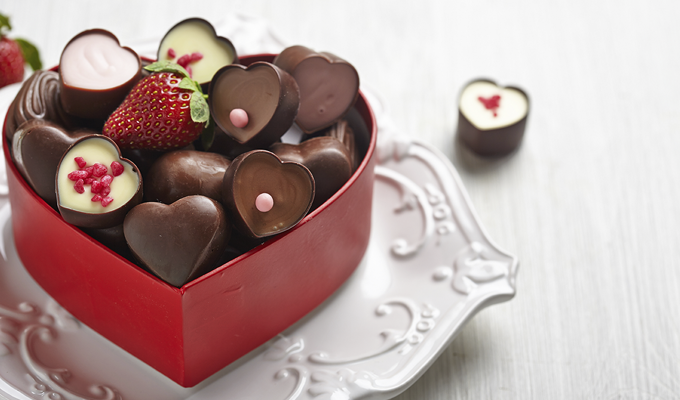 So what is the best Valentine's Day bang-for-your-buck when it comes to chocolate and flavonoids? One option is to use cocoa powder in baking and for beverages. This is a great way to keep the chocolate taste and maintain some control over the level of healthiness in the treats you are consuming. When it comes to purchasing sweets, the dark chocolate with at least 60 per cent cocoa solids will provide the most benefits in terms of flavonoids. All you need is a small amount to get the taste and benefits, but you can still be flexible in the amount you eat, and just enjoy this Valentine's Day. Kerri Cuthbert is a public health dietitian with the Winnipeg Regional Health Authority at Access River East.